A personal injury can change your life in a second and may lead to many expenses such as doctor visits, hospital stays, and rehabilitation. In addition, you may not be able to return to work. But you may be eligible for compensation for your injuries. A personal injury lawyer in Fort Myers, FL, can help you recover compensation for your personal injury. Call Chalik & Chalik Injury Lawyers at (239) 360-3029. If you hire an attorney at the Law Offices of Chalik & Chalik Injury Lawyers, our firm can launch an investigation. Our attorneys will work to preserve the necessary evidence for your personal injury case. This may include talking to witnesses, gathering your medical records to show the extent of your injuries, a police report, and other necessary information. Under Florida’s statute of limitations for personal injury, you have four years after an accident to file a personal injury suit. You should not wait until the time is about to expire to hire an attorney. The attorney needs time to investigate your case before filing a suit. A party owed you a duty. The party did not fulfill that duty. The party’s action was the cause of your injuries. Your injuries arose from the accident. In Florida, an owner is strictly liable if his or her dog bites you. You do not have to show that the dog bit someone before or that the dog had a dangerous propensity. You do not have to prove negligence if your case involves an “intentional tort.” For example, if someone assaults you, you can file a personal injury suit to get compensation for your injuries. Something distracted the driver, whether it was the driver talking on their cell phone or texting, swaying to music, having a heated conversation with another passenger in the vehicle, or simply daydreaming. The driver was not operating his or her vehicle in a safe manner. The driver ran a stop sign, did not activate a turn signal, followed your vehicle too closely, or crossed into your lane. A defect in your car caused the accident. For example, if defective brakes caused your accident, you may be able to file a product liability suit against the manufacturer of the car or the brakes. 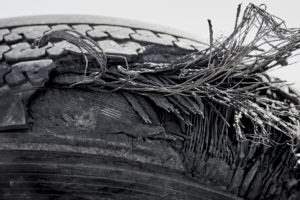 Another example would be a tire defect. Let someone know about your injury. Get the attention of the nearest employee. Make sure the person in charge knows about your accident. Get any needed medical attention you need. Look to see what caused your fall. If you see something on the floor, a hole in the parking lot, or water in the area, take photos. Do not sign anything without talking to a lawyer. You may be partially at fault for the accident. You may have been driving over the speed limit, or you may not have been watching where you were walking. A court can determine the percentage you were at fault for your personal injury. In Florida, you can still recover compensation if you were partly at fault (known as comparative fault), but the amount of your recovery goes down by the percentage of your fault. It does not matter if your fault exceeds the percentage of fault of the other party. An example would be if in a car accident it was determined you were 20 percent at fault, and the other driver was considered to be 80 percent at fault. If your expenses totaled $15,000, you would be unable to cover 20 percent, or $3,000. But you could still recover 80 percent from the other driver, or $12,000. You can file a wrongful death action If your spouse, child, or other relative dies as the result of an accident. You can recover the compensation the deceased person would have recovered. You can also get compensation for the loss of your companionship with the deceased person. A lawyer will work with the insurance company to negotiate a reasonable settlement. The lawyer will keep you informed of what is going on with your case and work to get you a fair settlement offer. If litigation is necessary, a lawyer will also represent you in court. If you suffered an injury in a vehicle accident, a slip and fall, or other accident a personal injury lawyer in Fort Meyers, FL, may be able to help. Call Chalik & Chalik Injury Lawyers at (239) 360-3029 for a free consultation.